I was pumped to dive back into this episode of television, because nothing is more exciting than science fiction technology run amok. 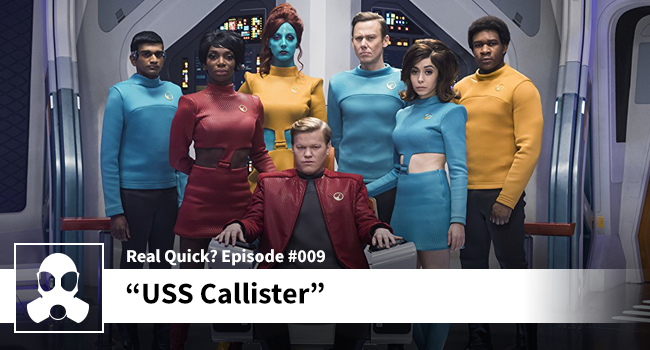 Today I talk about the bar of television being raised to the point of where some things just have to be good, and in the case of this particular episode of of TV, I talk quite a bit about the performances and the cast. Additionally, I spend some time on the way our expectations and set-up and then spun 180 degrees with clever writing and well-timed plot points. This isn’t a perfect episode of television. The rules of the technology appear to be a little loose, but overall it’s outstanding and a solid “love it” from me.